The best way to get to know a community is by scheduling a tour. See the facilities, meet the staff and residents, and get a feel first hand what it's like to live at Serenity House, S. Kenton Way Assisted Living. 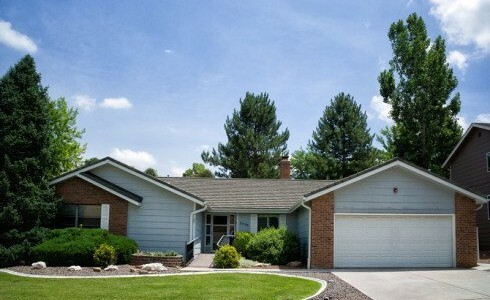 Serenity House Assisted Living – South Forest Drive is set in a charming, tree-lined residential neighborhood in Denver, Colorado. We provide a stable, safe and comfortable living environment for only seven to eight residents, which allows more personalized attention than would be possible in a larger assisted living facility. Serenity House Assisted Living is owned and operated by a licensed physical therapist with over 31 years’ experience in rehabilitation and senior care. Our goal and mission is to provide exceptional care for the elderly in a safe, loving and beautiful home. We aim to create a supportive, nurturing environment to best enable our residents’ freedom and support their engagement with all of life’s activities. Our pleasant residential atmosphere is just the place for your loved one, creating a sense of never having left home. Private or semi-private bedrooms allow options both for those who are more social and those who require their personal space. Additionally, our homes are designed to accommodate those with physical disabilities. Our full-time, certified Activity Director and supporting staff create enriching social experiences for our residents. Our 15-passenger bus with wheelchair-lift is also available for community outings. Additionally, residents can expect three delightful meals per day, by our staff, with options for those with dietary restrictions. At Serenity House Assisted Living, we are there to take care of the essentials like housekeeping, laundry and linens. Our helpful staff is on hand to provide assistance with appointments and transportation among other services and care is available 24 hours a day. Security is assured with our emergency call system, meaning that help is always available. And thanks to an on-call physician and registered nursing services, health maintenance can take place on-sit as well. We welcome you to visit us at Serenity House where you will find the loving home that you and your loved one deserve.